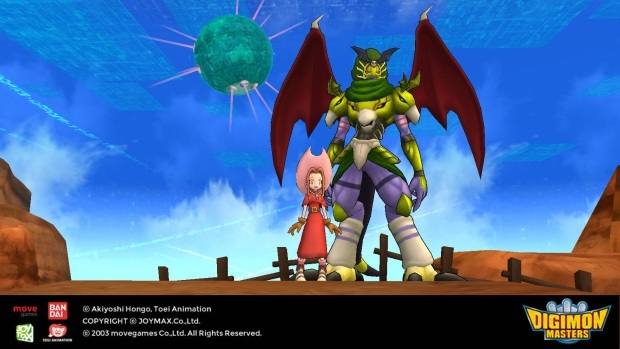 Leading online game developer and publisher Joymax is hearing the songs of the angels in their worldwide, sensational MMO Digimon Masters! With the May Festival kicking off and a new Digimon to grab, now’s the perfect time to join the game – or come back, no matter how long it’s been! Tamers can peruse the full details of this huge event at http://www.joymax.com and downloading the game today. Originally an Angel-type Digimon, Murkukusmon fell from grace, leaving the angelic host with Beelzemon. Granted the title of “Earl” within the executive class of the Nightmare Soldiers, this Digimon can command up to 30 troops. With a fiery temper, be sure not to anger this former angel turned Virus type, or you may be in for a heated blast of their Gehenna Flame! Have you snagged your very own Tsukaimon yet? If not, now’s the perfect time with the May Festival Coin event! How does a player gain coins? You’ll need to log in and travel to the DATS Center to find out! These rare coins can purchase a variety of items, including 1-day Growth Factor (1 coin), File Island Jump Boosters (15 for 6 coins), 15-day Digi-Auras (12 coins), Digimon Name Changes (18 coins), and more! Big spenders can gather 24 coins to net an Accessory Stone package, along with 5 Option Change Stones and Number Change Stones, or collect 30 coins to purchase the elusive Mercenary Slot Expansions, available in-game for the first time since 2013.